If your company manufactures a spread like Marmite, for example, your product may not necessarily lend itself to the most creative of images. If you want to take the easy way out, snap some pictures of the jar on a shelf and call it a day. 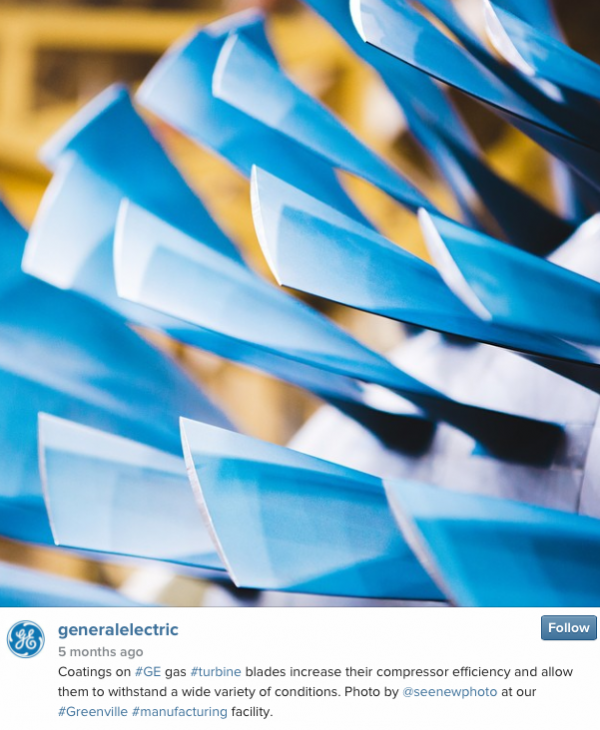 Just don’t expect the photo to inspire your customers to engage with your brand. If you do want to foster some engagement, get creative by posting photos that personify your product and make it seem more personable or interesting. Marmite posted this photo on their Facebook page back in January. It’s cute and funny, and it generated more than 60 shares and positive comments. 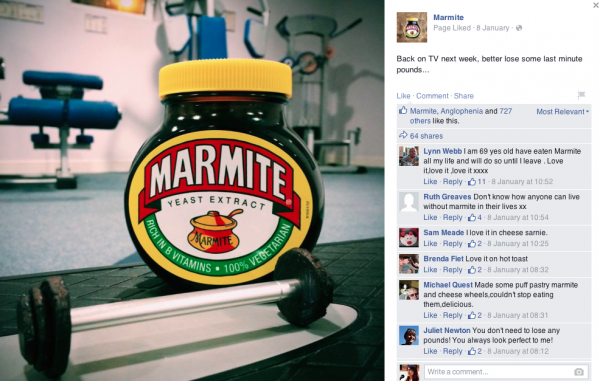 Rather than posting a photo of a jar of Marmite on a pantry shelf, the brand went the extra mile by paring a creative photo with a humorous caption their fans would want to engage with. 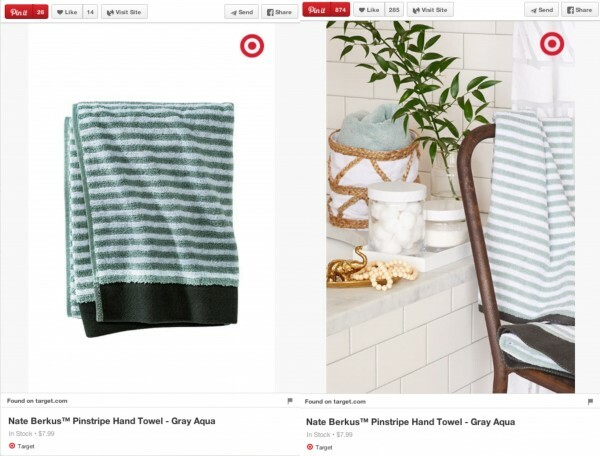 Which image of the Nate Berkus™ Pinstripe Hand Towel (Gray Aqua) do you think received more engagement on Target’s Pinterest board: The image on the left, or the one on the right? Give yourself a gold star if you chose the image on the right. The image on the left got 26 repins and 14 likes, while the one on the right got 870 repins, 291 likes and 3 comments. 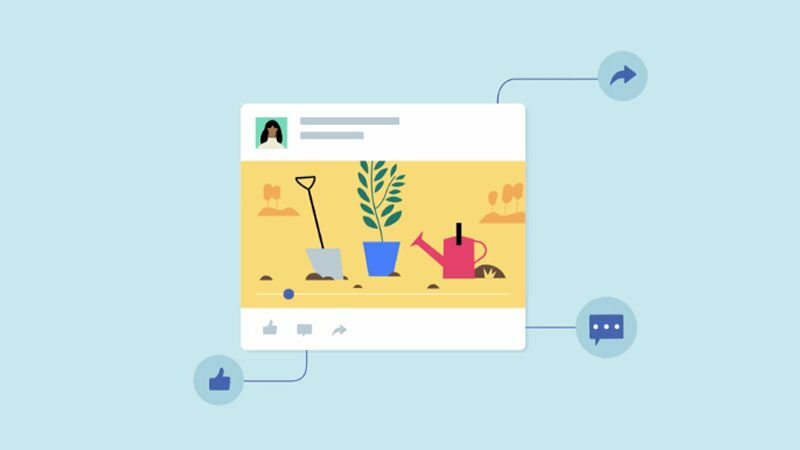 Over and over again the same pattern emerges from Target’s Pinterest page: The “lifestyle” images tend to receive more engagement than the standard hero image. 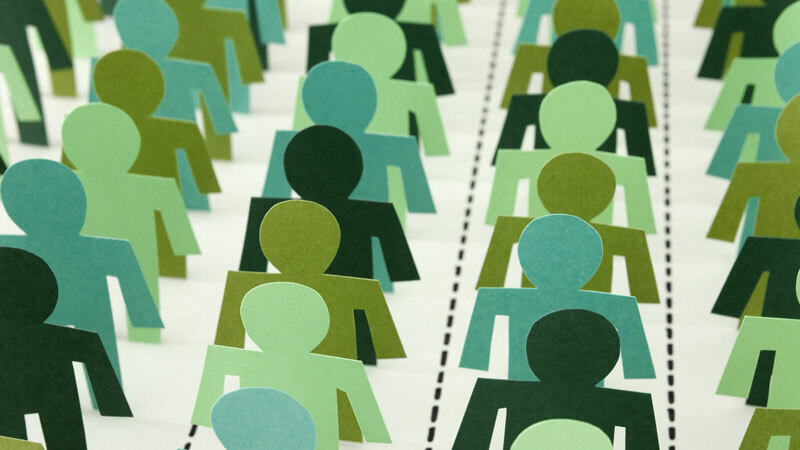 Here’s the key point: don’t just show what your product is; show your audience why this product is important and how it could fit into to their lifestyle. People are attracted to aesthetically pleasing visuals. In this example, the “lifestyle photo” helps consumers envision the situations in which they’ll use a gray aqua hand towel. It’s one thing to talk about how your company puts painstaking detail into the craftsmanship of a product, but it’s better to show that attention to detail up close. By shooting close-up photos of your product, or honing in on one or two specific parts of the whole, you allow your consumers to actually see the care that goes into production. 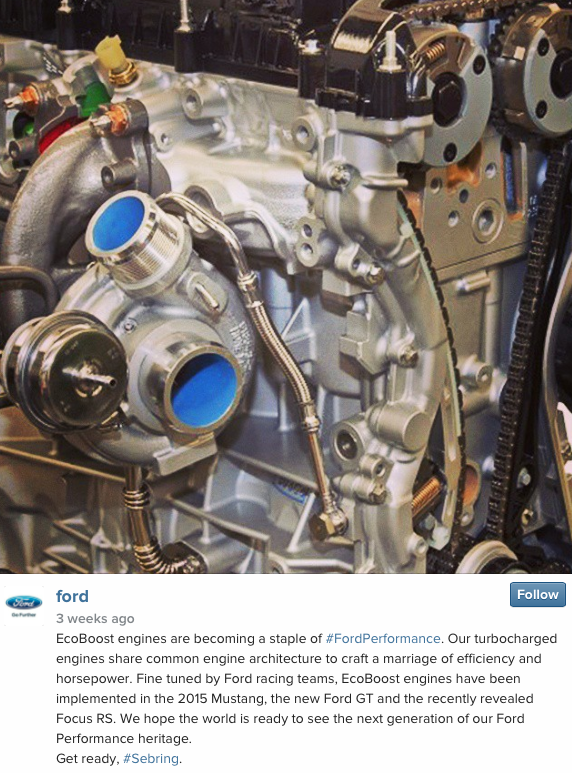 In many ways, the following images from Ford’s Instagram and GE’s Instagram speak for themselves. Giving your audience a peek behind the scenes is a simple but effective way to tell your brand story and appear more personal as a brand. 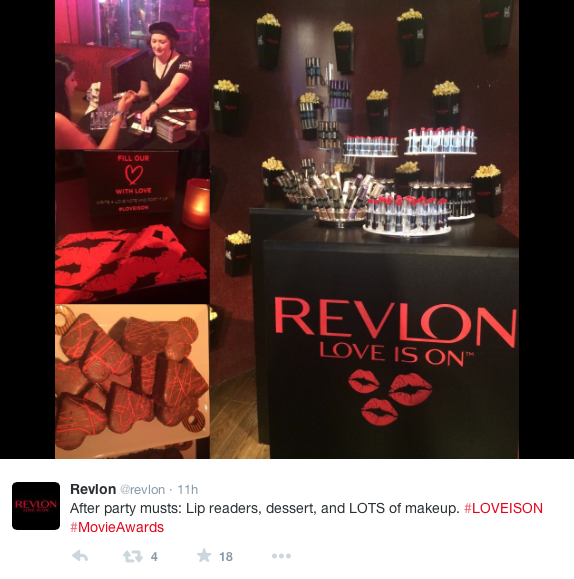 On the Revlon official Twitter page, the brand recently shared several behind-the-scenes photos of their presence at the MTV Movie Awards, from prepping sweepstakes winners for the show to the view from their seats and what went down during the after party. Sharing highlights from the event with their social audience gives Revlon an easy opportunity to showcase their expertise in beauty (i.e. discussing what makeup looks are trending and popular at the show) and invites followers to be a part of the journey. In addition to appearing more personal, behind-the-scenes photos offer something that other images can’t: an insider’s perspective into your brand. 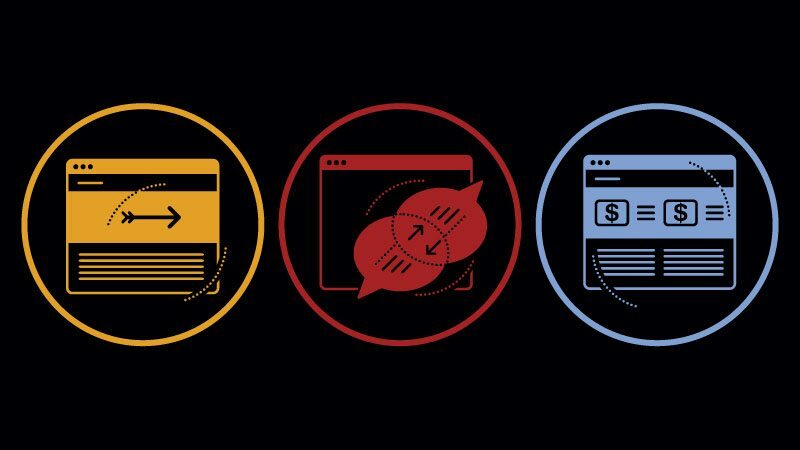 A study by Adweek showed that 58% of consumers want exclusive content from a brand, content they won’t see anywhere else. Why not apply that to your photos? What brands do you know of that use creative photography? Tell us about some of your favorite brand images in the comment section below.